European dairy cooperative Arla Foods has reached an agreement with American multinational confectionery, food, and beverage company Mondeléz International (“Mondeléz”) to acquire its processed cheese business in the Middle East region, which is currently licensed under the Kraft brand. 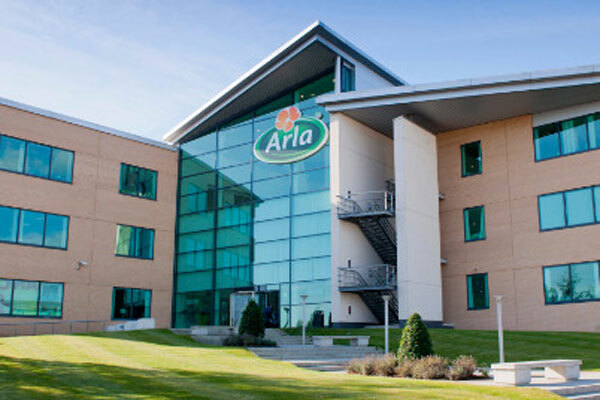 Since 2010 Arla has more than doubled its sales organically across the Mena region, which is the company’s largest market outside Europe, through strong positions in cheese under the Puck brand, butter under the Lurpak brand as well as milk powder and UHT milk under the Dano and Arla brands. The company expects its retail and foodservice sales in Mena region to reach €560 million ($635 million) this year. On the strategic move, Arla CEO Peder Tuborgh said: "This acquisition is a gamechanger for our Mena business. We have an established and growing business in the Middle East and know our consumers and customers well in this part of the world." "As such, this deal is an excellent strategic fit for us as it enables us to both expand our branded presence in the cheese category and secure the local production capacity we have been looking for to continue to grow our business," he added. Until now, most of Arla’s products sold in the region have been produced in Europe, with some local production also placed in Riyadh, Saudi Arabia. However, with Arla’s capacity nearly maximized for processed cheese, today’s announced deal delivers much-needed capacity and gives us a strong regional supply chain footprint that enables us to secure long-term competitiveness in the region through scale and efficiency. Commenting on the deal, Arla’s executive VP (International business) Tim Ørting Jørgensen said: "By expanding our branded portfolio and local supply chain in one go, we will be able to bring new commercial opportunities to our customers quicker and better." "Over time, the site in Bahrain will also allow us to base the production on high-quality milk from our farmer owners in Europe," he added. The production site, located in capital Manama, has a capacity exceeding 66,000 tons. Built in 2008, it includes an on-site innovation pilot plant and has won multiple awards for manufacturing excellence within core cheese categories, said the top official.